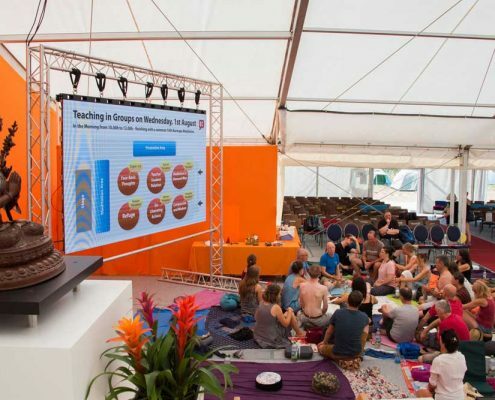 We have 6 basic Dharma topics being taught to choose from every morning in the gompa tent during the course. So here’s our own little series of mini-explanations to share a part of this with you. Basically refuge is about the values that direct our lives – but at the end they are not reliable because they are not lasting. Whatever we perceive, everything changes all the time. 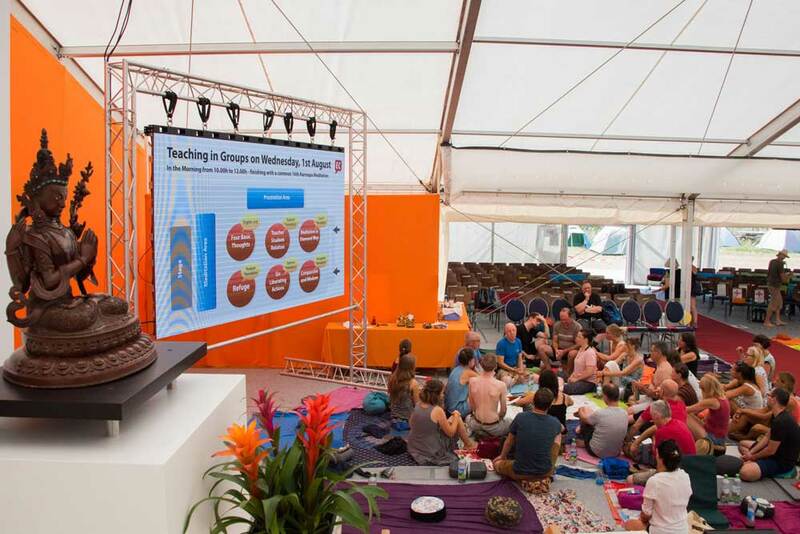 Buddhist refuge focuses on timeless values – our own mind with all its inherent qualities. Buddhists also call it “Buddha”, like the mind-state of the historic Buddha Shakyamuni who lived more than 2500 years ago. The original meaning of Buddha’s term for refuge was “shelter” or “protection”, where we become completely independent of any outer or inner influences. That’s what is called enlightenment where joy, fearlessness and compassion are ever-present for the benefit of all beings. That’s what the Buddhist refuge ultimately strives for. In order to reach that state we also take refuge in the way, Buddha’s teachings or Dharma, in the Sangha, the Bodhisattvas, one’s friends on the way. These are the so called Three Jewels. In the Diamond Way one also takes refuge in the Three Roots. Receiving refuge from a lama is the ritual beginning of one’s way. It creates a connection between the Buddha nature of the student and the timeless wisdom of all Buddhas.